theartstea | living the sweet life – gluten free! living the sweet life – gluten free! I overheard someone on public transit today who said that until they see buds starting on the trees, it is nowhere close to spring. I agree with you mystery man, the trees don’t lie. Dreams of picturesque dew drops are haunting me. Perhaps it was the warm glow of sunlight this evening or my endless planning to go on a holiday, but folks, I went out hunting for a succulent out-of-season melon. This winter season sweets haven’t tempted me as they usually do. 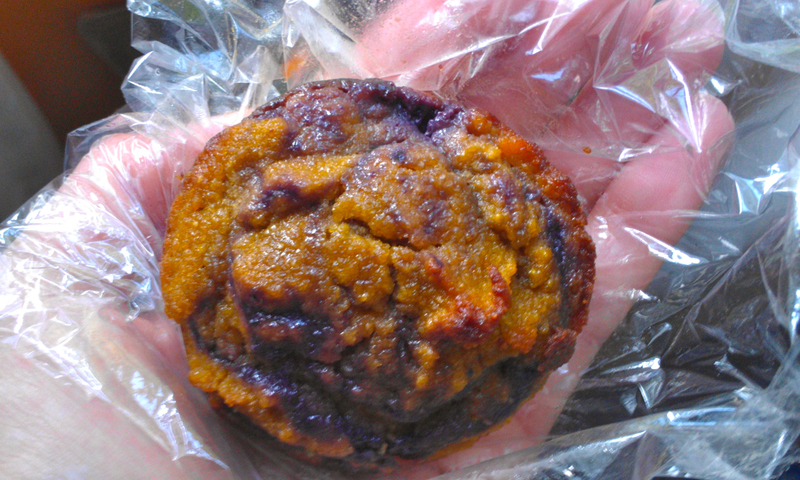 Cookies and cake have made way for the whole grain gluten free muffin recipe I have been perfecting. Fresh on the heels of reading Spirit Junkie, I was reminded of my tendency to put work, social obligations, errands, finance planning first and foremost. Planning and fluctuating task lists will always afoot, so you’ve got to arm yourself with food to bring you joy and clean fuel. Matcha is bringing the antioxidants, maca is levelling out our adrenals, ginger is regulating our circulation and killing off some bad news bacteria, cucumber is settling our stomach and our skin. Shed your muffin top and juice up some of the Dew Drop. Combine ingredients in a blender until smooth, run through a sieve or nut milk bag, for an extra silky, smooth juice. 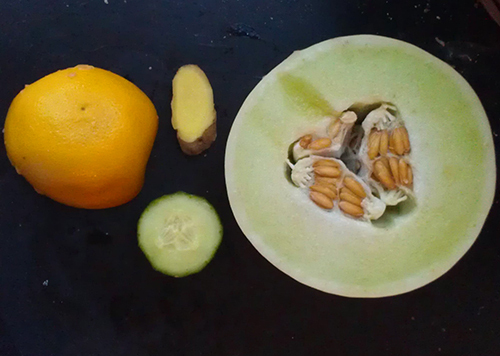 If you have a juicer, juice the produce and then put it in a blender for a quick blitz to combine the powders. I’ve been busy simmer and slurping over here, trying to devise a real recipe rather than a loose method for you stock beginners out there. We are still in the thick of winter here- woolly socks, soups and snuggly blankets are still very real. February was a fickle month for me, while it comes with a bracing new beginnings, it is soon followed with an inescapable lull. I’ve mentioned “hurry up and wait” before on the blog, and there is no better example than the winter months. For what seems like ages, we prep, cook, dance, give gifts, laugh and run around from gathering to get-together. Now that we have proof of surviving winter’s deepest darkness, our body are hollering for a break. This weekend take a day to yourself and throw this on the stove. It’s the stock that will save you in what may the longest days of winter of all. 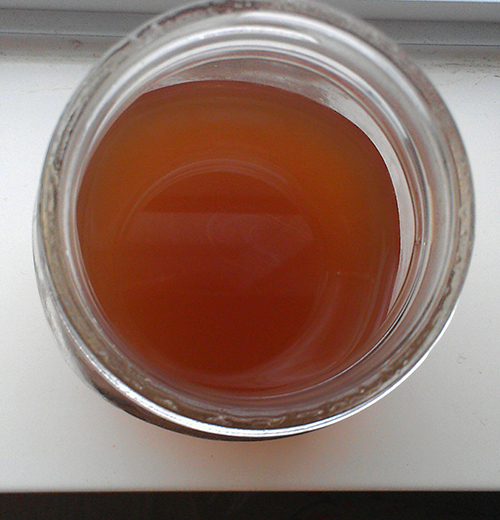 Combine all ingredients in a deep stock pot, add in 8 cups of filtered water. Bring to a boil on medium heat, turn to lowest setting and let simmer for 3-4 hours. Run through sieve and package into glass mason jars. Use within 3-4 days for best flavour. Alternatively, you can let the stock cool and freeze it for a maximum of 4 months. The easiest way to put veggie stock together is to save your scraps throughout the week, I keep mine in a produce bag or a freezer bag depending on how flexible my stock cooking schedule is for the week. I had the honour of choosing the book this month over at the Laughing Medusa Blog‘s Self-Love Book Club. Colour me surprised but I wasn’t expecting to be moved by a book donning the title Spirit Junkie [Gabrielle Bernstein]. After all its cover is plastered with a bleach blond skinny woman flanked in a sequinned happy-face dress. I want to be at peace (or feel like I have some kind of inner-peace, ahem sanity), but not at the cost of being a putz. Does this resonate with you? For some Bernstein’s anecdotes may come off as charming, but I didn’t find most of them relatable. What I did take notice of was her simple explanation of how fear takes charge of day-to-day life. Simply put, my cool, collected walk and contagious laughter is undermined by my fear of f–king up. A fear that I am nothing more than my past mistakes, that there is no way that I could have learned or grown or become stronger because of them. Have you felt this way too? Fear is normal and at times even can be helpful. Bernstein asks you to choose love at every turn, but I can’t quite get on board with that. Conversely, I suggest that you grab the reins on your ego when the negative thoughts turn from exploratory to aggressive and you can’t quite decide what end your most recent meal is going to fly out of. How, you ask? Start the inner-dialogue and deflate your ego. Bernstein contends that by just communicating your fears out loud or writing it on paper (for those fond of journaling) can release us from the madness that our fear of reliving the past plays in our daily life. If you are looking for a non-preachy, slightly bleach-y approach to reducing negative self-talk in your life, I suggest you pick up Spirit Junkie and go buffet style. Spirit Junkie provides meditations and journaling prompt to help guide you through the process, allowing you to choose whatever seems to make sense to you and for you at the time. We’ve all got to start somewhere. Thank you dear readers for joining me on this journey of food and mood storytelling. 2014 has come in with a bang and a big dose of brrrrrrrrr! I love the winter but roasting root vegetables every day can weigh on Northern folk. Thinking back to warmer times, I am reminded that my juicer broke in the middle of the summer. This was a blow to my daily routine, but I made it work by incorporating more roughage and increasing my patronage to local juice bars. For years and years I have been an advocate for green smoothies, but juice is a great way to deliver nutrients to your blood stream in a hurry. 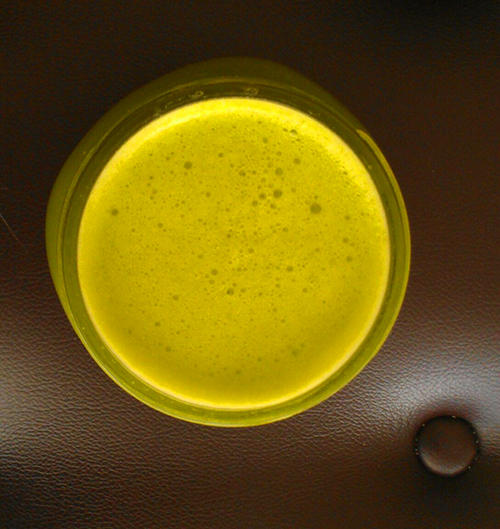 Graced with a digestive auto-immune disease, juice provides my body with a much needed break. I am sure that most of you are in the middle of crafting or revising your intentions or resolutions for the year. And without further ado I will leave you with some food for thought. Our digestive systems work constantly and tirelessly to keep us going. Perhaps we can give it a hand every now and again with a veggie heavy juice fix! 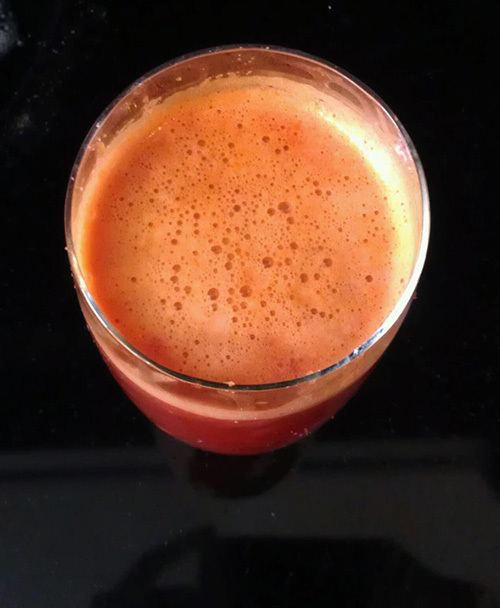 Stop riding the coattails of regret over your recent over-indulgence on New Year’s Eve and make this juice. I wanted to quickly send well wishes to my friends and loved ones in Southern Ontario today on the blog. I hope that you are safe and warm and making use of the kindness of strangers these past few days. Stay Safe! Things may be coming up Milhouse or you are drowning yourself in cans of beans, but that is okay. Lentils can be your friend too. Things are getting a bit dismal around my wallet these days, even with my slew of homemade gifts, stocking up on the essentials and wrapping gear can do a bit of damage. 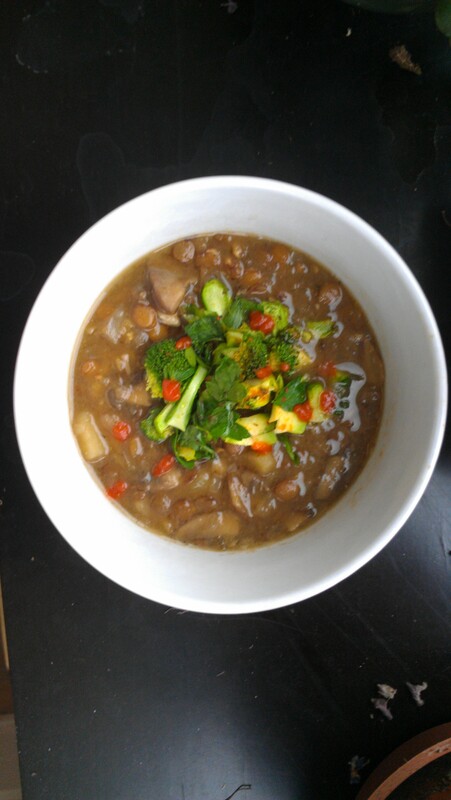 If your purse strings are feeling a bit restricted as well do grab some lentils and make this soup.Is your family and friends have been throwing cookies at you as if it is the only food that exists, this soup is for you! If you are like me dried lentils are kicking around your cupboard or pantry. If not, you really should purchase some of these workhorses, they are an honourary vegetarian protein source packed with iron, folate and fibre to name a few. This soup will warm you and keep you well fed for hours. It sure makes that holiday hustle and weekend warrior workouts a lot easier to fit in! Join me on this season’s soup odyssey, won’t you? Nothing quite says thinking of you around the holidays more than a handmade card filled with your own signature sentimental wit. My holiday budget is quite small this year so I needed a thrifty & crafty way to spread my holiday cheer to friends and family. 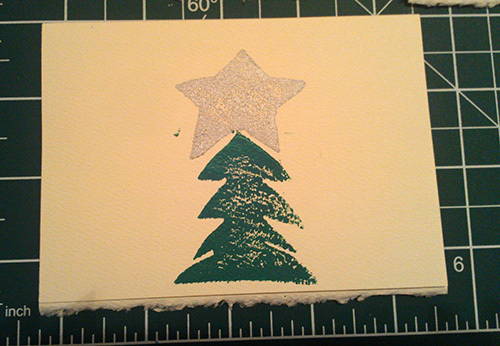 Enter, DIY Holiday Greeting Cards! Mindful of the eventual cookies I will eat later this month, I was in search of a good low-glycemic snack that was easy on the budget. Something that would work on the run and would help me snack smart amongst the holiday prep, meetings and social calls. Coconut flour packs a punch in fibre, protein and flavour, keeping you sated longer than your average muffin.